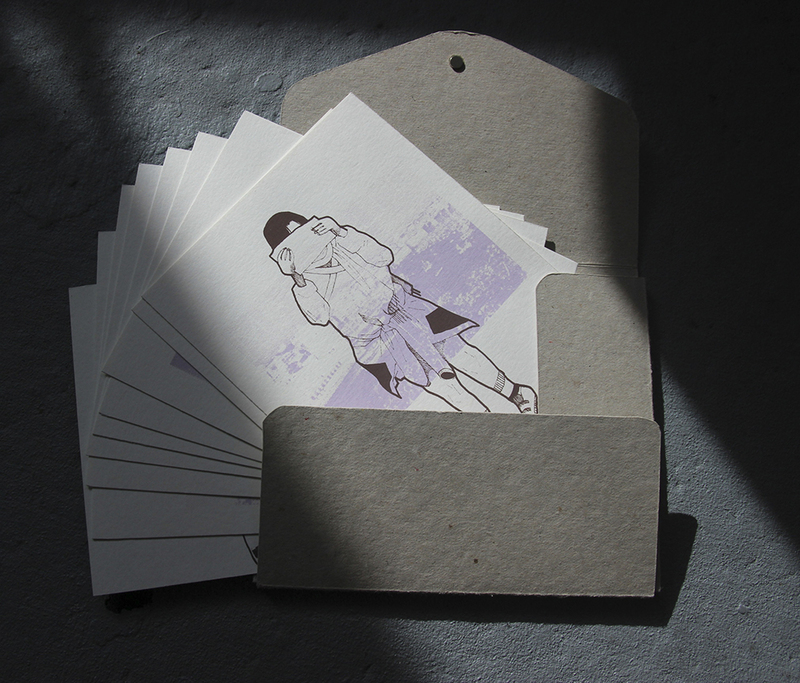 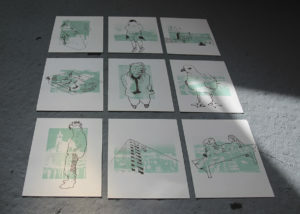 9 silk screen prints in each cardboard pocket. Made in Marseille. 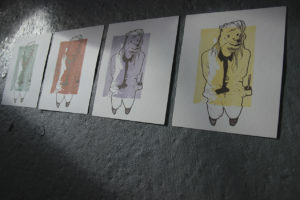 There are four different colour variations. 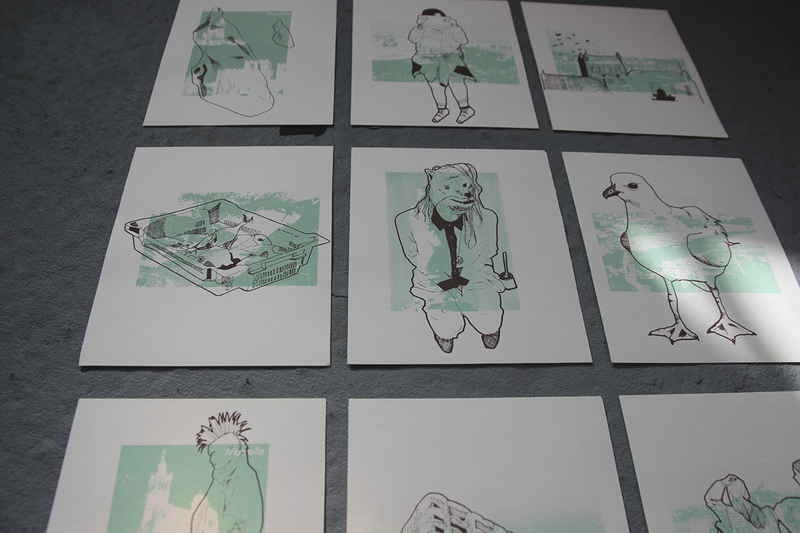 The background graphics are taken from these cheesy postcards you can buy throughout the city. 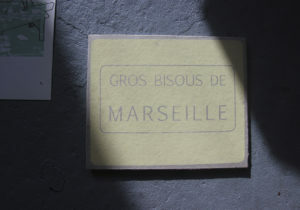 The second layer are drawings inspired by my very own Marseille impressions.